As the latest casualty in the ongoing attrition of world photographic suppliers, Konica-Minolta has announced its withdrawal from the camera and photo market. You can read the press release here. Last July, it was announced that Konica-Minolta and Sony Corp. would "co-operate" on the development of digital SLRs. Evidently, what has happened since then is a negotiation to determine how K-M's DSLR products will be transferred to Sony, which apparently intends to carry on using the Maxxum lensmount. To my reading of the press materials, it seems K-M will continue producing the 7D and 5D DSLRs for Sony at least for the immediate future. Sony will take over servicing of existing K-M cameras and related equipment on April 1. The proximate cause is that K-M's camera business fell from 117,000 million yen to 75,000 million yen in fiscal 2005-6, with a loss of 7,300 million yen; the strategic thinking seems to be that K-M feels it cannot compete without making its own sensors. Konica-Minolta was formed in August 2003 with Konica's purchase of Minolta. Kazuo Tajima established Nichi-Doku Shashinki Shoten ("Japan-Germany Photo Company," the precursor of Minolta), in 1928. 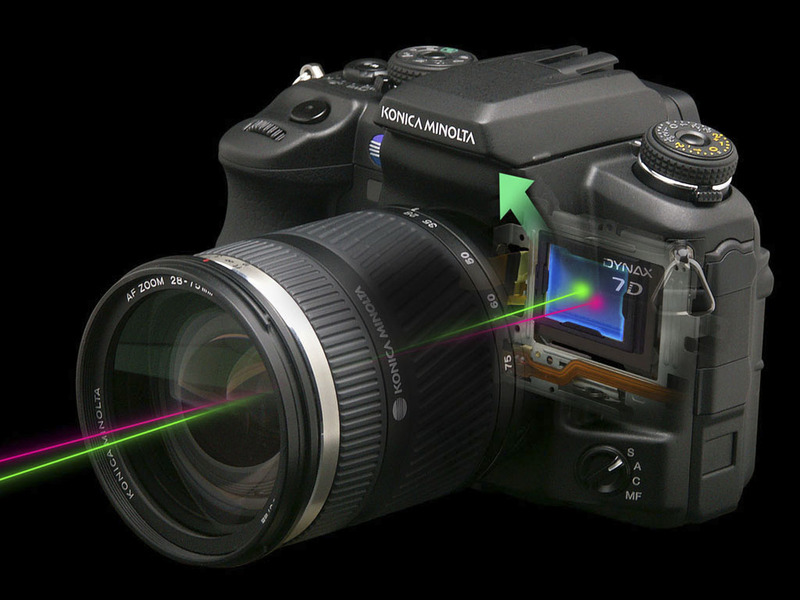 Long known as a maker of popular consumer cameras, Minolta's biggest accomplishment was arguably its early championing of, and achievements in, the use of autofocus, in the 1980s. Minolta forged a relationship with Leica beginning in 1972, which cooled markedly several years later (the joke at the time was that "Alpa produces in a year what Leica produces in a day, and Leica produces in a year what Minolta produces in a day.") Minolta was dealt a severe blow in the 1990s when it lost a series of patent lawsuits to Honeywell, with burdensome financial consequences. The oldest camera manufacturer in Japan, Konica traced its history all the way back to 1873 when pharmacist Rokusaburo Sugiura began selling photographic materials at his store. It produced the first photographic paper and also the first color film in Japan, and in the years following 1960 was a major SLR maker. Faltering in the transition to "Wunderplastik" cameras (i.e. electronic, polycarbonate-bodied cameras with integral motors), it ceased SLR production in 1989, but introduced the famous and popular Hexar—essentially a modernized, fixed lens point-and-shoot very similar in size and operation to a Leica M—three years later. 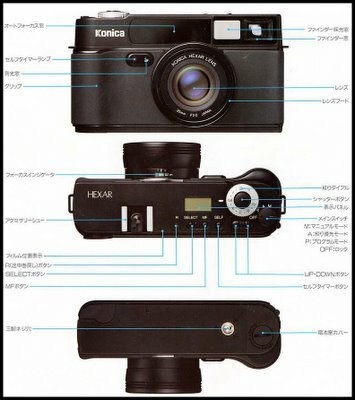 In the 1970s, Konica lenses were thought of within Japan as the best optically of all Japanese lenses; its last lenses, M-Hexanons in Leica bayonet mount for its ill-fated Hexar RF, honorably upheld that tradition. Let us hope that Sony has the financial resources to keep moving forward in the DSLR market, or else we'll only have Canon and Nikon. I stronly believe that Sony with the acquisition of Konica-Minolta will be the next great generation of outstanding DSLR Cameras. The Sony Alpha A700 and A900 are not meager, but excellent cameras in terms of quality, technology, and descent price. The soul of all Sony DSLR cameras is the Konica-Minolta and I am more than satisfied to accept that.